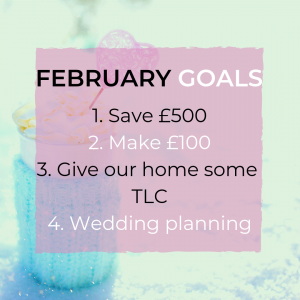 Save money, make money: the main things on my financial goal list for February! My 2019 goals are off to a great start. 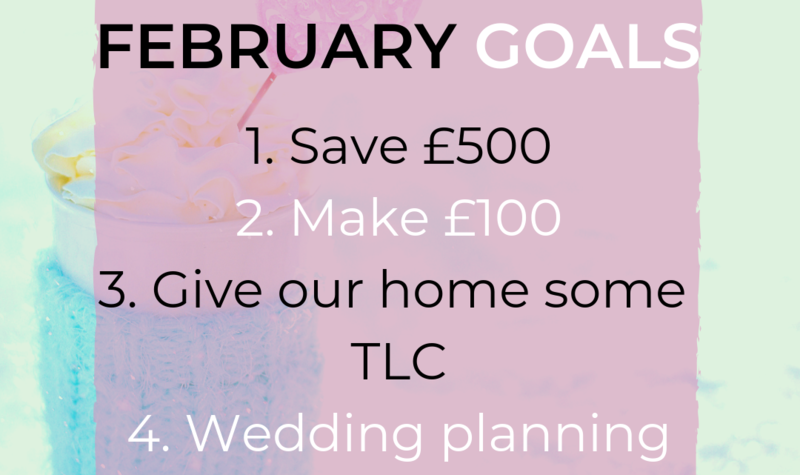 I’ll be focused on ways to save money for Baby Step 3, our wedding and the future over the coming year. Focus on not spending rather than saving. Instead of perceiving shopping the sales or getting a bargain as savvy, see it as purchasing unnecessarily. We are so easily swayed by discounts, sales and bargains that we forget to actually assess if we would purchase an item at full price. 2019 is not only my year to save money, but to make money from blogging. I would really like to build a passive income and I think this might be a great option to do that. To do so, I’ll be postponing all other side hustles. This was a tough decision to make but I am a big believer in putting mental health first and therefore I prefer to focus on one thing at a time. Unfortunately that means postponing matched betting for the time being. So for full transparency, you will see me continue to promote matched betting because I really believe it’s the best way to make money instantly. But for now I’ll be turning my side hustle focus to blogging. I want to save £500 towards our wedding in April this month. We all know that to lose weight, we need to consume less calories that we burn. The same can be said to save money; we need to spend less than we earn. So where that £500 would usually be allocated to going out, takeaways, coffee runs, and holidays, we’ll be saving it instead. My goal is to add another income stream on top of my day job this year and I’ll be using my blog as a platform for that. I’ll keep you updated on it goes. If you are less interested in the (potential) long term income hustle, and more interested in how to make money right now, here are some suggestions. Following Mrs Hinch’s tips on how to re-organise cupboards and storage. More cleaning supplies than even Mrs Hinch herself could need. Anyways, that’s my February goals. Comment below to share a goal of yours this month! How do you plan to make or save money in February?